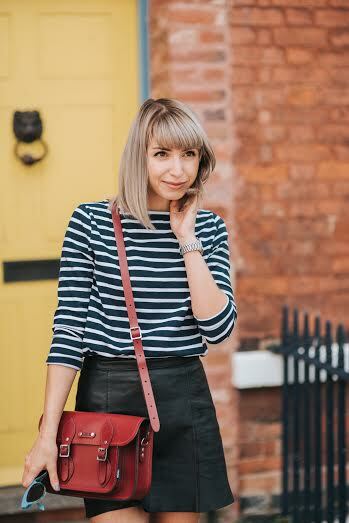 This weeks Guest Stylist pick on the @Girlmeetsdress blog is from Allie-May Redmond, writer of The Friday Girl blog. Keep reading for more information about her, as well as her top 5 dresses from our website! Hi, I’m Allie! Nottingham based Content creator and social media gal by day, Crossfitter by night and serial cereal addict. Check out my style, fitness, food and lifestyle blog if you like my Girl Meets Dress picks! Self-Portrait make stunning dresses and this beauty is no exception, I love the boho vibes that come from the lace and the bell sleeves and I adore the mini length. I love the relaxed feel of this dress, I think you could easily wear it with minimal trainers as well as your favourite heels. Plus, it’s black and you can’t go wrong with an LBD. This is 100% me in a dress. I love denim, I wear it almost every day and I love the pinafore style. I’d almost always wear a dress like this with a Breton Top underneath. Another asymmetric LBD that I’d happily wear every day. I love the high neck on this Balenciaga number. I’m obsessed with this dress, how cool is that tuxedo style? I love the monochrome and the navy aspect of this dress, it’s the perfect cocktails with the girls dress. Posted July 25th, 2016 in GMD Bloggers, Uncategorized. Tagged: allie-may redmond, Balenciaga, beauty, black, black dress, blog, blogger, Dresses, Girl Meets Dress, little black dress, london, mih denim, notting hill, phillip lim, Self Portrait, stella mccarthney, summer, travel.